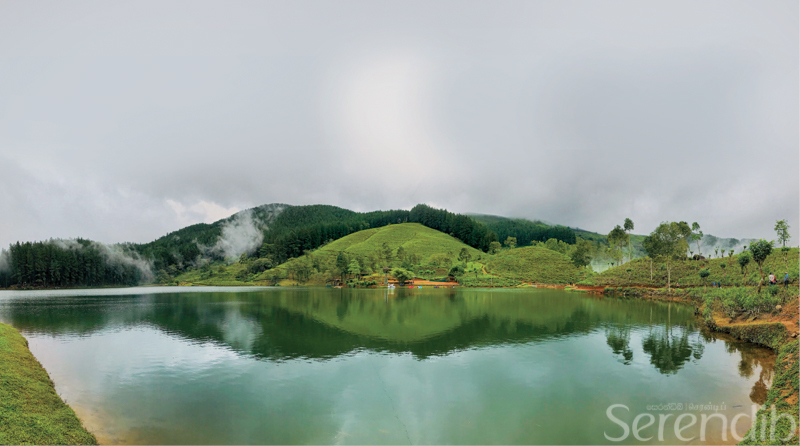 Sembuwatte Lake is a perfect getaway set amidst the beautiful landscape of the Dumbara range of the central hills. It was dawn by the time we reached Kandy and the town was waking up to a new day as we set on our journey to the beautiful mountains of Dumbara. Despite the heavy monsoonal showers that prevailed, the day was promising with a clear blue sky, and distant views of undulating landscapes clearly visible, even from Kandy. 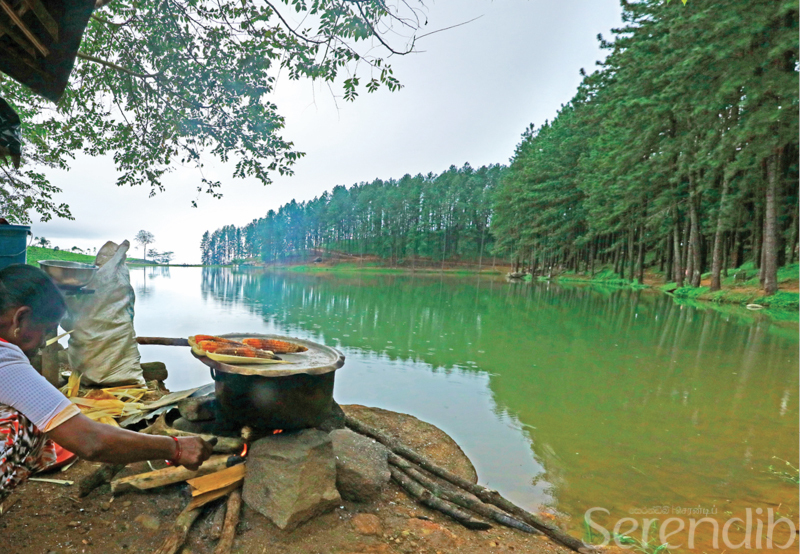 The shortest route to reach the destination would be from Kandy, via Wattegama and thereafter Elkaduwa, where you will eventually take a rugged bumpy ride up hill through tea estates and pine forests to reach Sembuwatte Lake. About 1.5km after passing Elkaduwa town, we took a brisk turn uphill to the right, leading us ever so closer to Sembuwatte. The road at the foothills begins smoothly, however as you progress farther, the journey becomes rugged and curvy, where access is by four-wheel vehicles only. After about a 15-minute drive through the Elkaduwa tea plantation, we reached the entrance to the Lake, upon which visitors need to obtain tickets. Despite the heavy monsoonal showers that prevailed, the day was promising with a clear blue sky, and distant views of undulating landscapes clearly visible, even from Kandy. 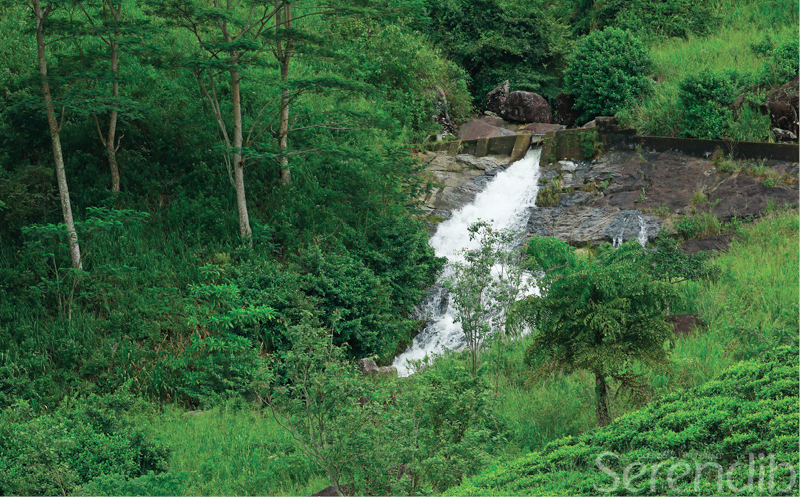 The site before us was beautiful, a central large water body was ringed by carefully set contours of tea bushes from one side and tall pines from the other. Pristine spring waters from uphill nourish the lake. The trail around the lake is ideal to explore and feel the tranquility of the surroundings. Visitors can also take a boat ride, which range from canoes to motor boats to paddle boats, and discover the beauty of the lake. 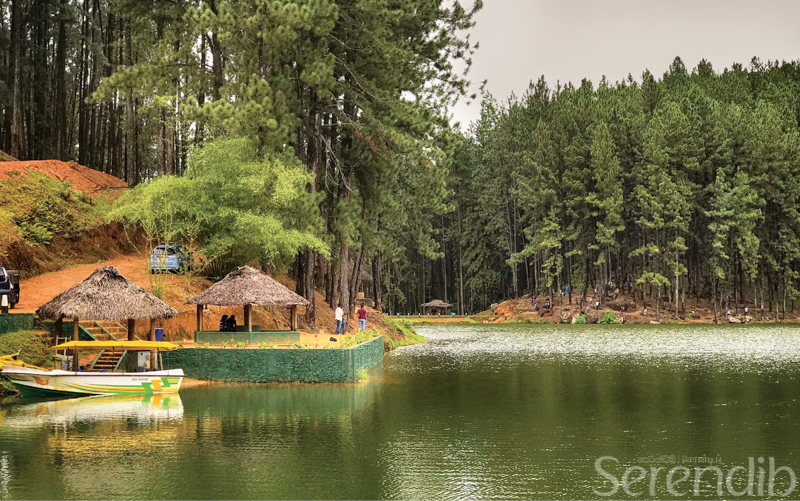 There are a few huts at the edge of the lake for visitors to rest and relax, which also provide shelter in case of unexpected rains as it is common in the central hills. While taking a stroll around the lake, something caught our eye. 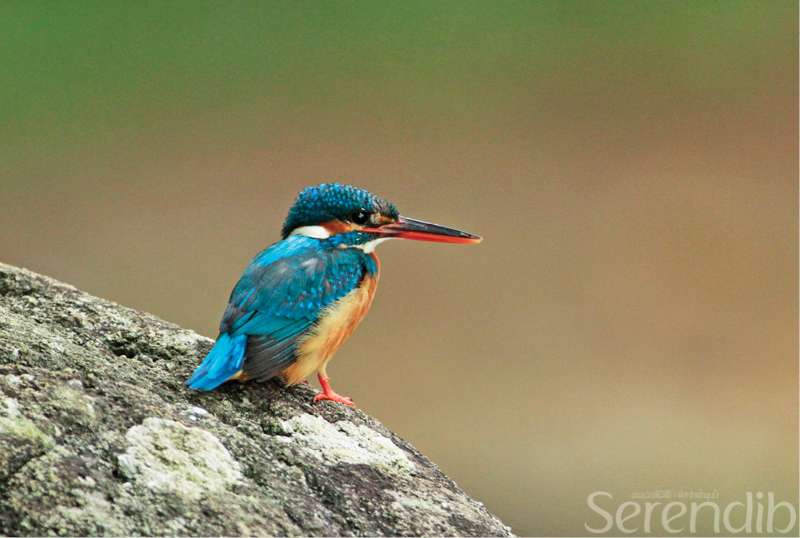 It was a tiny colourful common kingfisher persistently waiting for an opportunity, its wings still, and in a blink of an eye it took flight to the other corner of the lake for better luck. Beautiful blooms on either side of the bank add colour to the landscape. While we waited for the rain to stop, we decided to have some corn that was grilling in a small fire next to us. 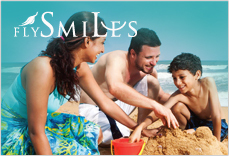 For a relaxing and cooling bath there is a small pool filled with natural spring water. For the adventurous they can cross the lake along the wire cable with the required gear. 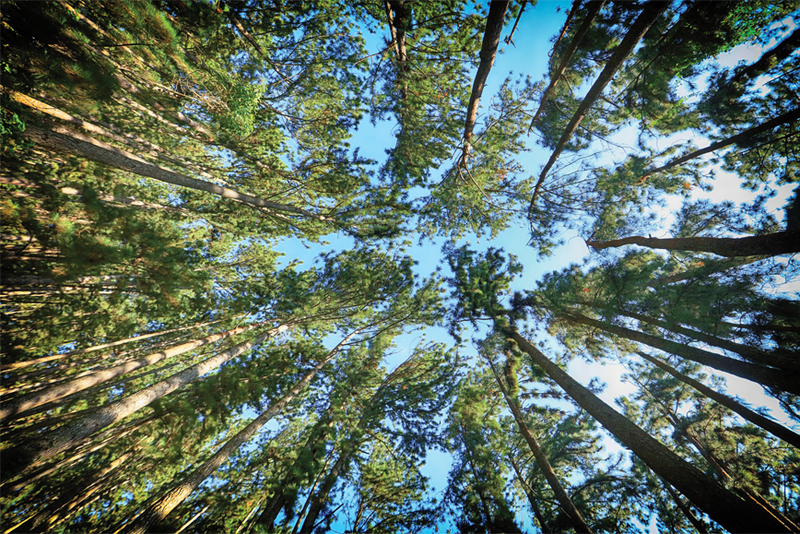 The lake is situated within the Elkaduwa plantation, and visitors can even camp overnight. One needs to bring their own provisions for meals. Although the day began with much hope of a clear day it didn't take long for the clouds to hover and set a slight drizzle for us to rush into a shelter nearby. While we waited for the rain to stop, we decided to have some corn that was grilling in a small fire next to us. A view point from the highest location provides magnificent vistas of the surrounding. The entrance can be seen in the distance with the Dumbara mountains as a backdrop. People walking down the path seemed like miniature figurines, silhouetted against the scenery. The lake undoubtedly offered peace and tranquility, set within a perfect mix of scenery, as well as breathtaking views of a man-made lake, which makes the landscape seem out of a fairytale!